June 12, 2006 - LOVES PARK, Ill. – Singles in the Rock River Valley will have a chance to show off their game at the game. 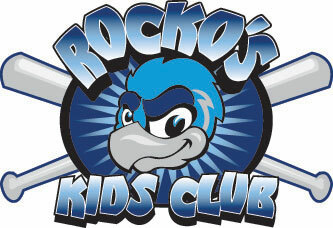 Beginning Tuesday and continuing at every Tuesday home game in 2006, the Rockford RiverHawks invite area singles to RiverHawks Stadium for Speed Dating Night. Al Grace Appliance and B. Sanfield sponsor the event, an innovative approach to dating. The idea of speed dating is efficiency – to give each single the opportunity to meet as many other singles as possible in a limited amount of time. Each person will have about five minutes with a partner before switching to somebody new. At the end of the event, if people choose to have further contact, the RiverHawks will be able to facilitate a second meeting. The event runs 5:45-6:45 p.m. Tuesday. Gates open at 5 p.m. and the game between the RiverHawks and Traverse City Beach Bums is scheduled for 7:05 p.m.
Singles can sign up at RiverHawks Stadium or at Al Grace Appliance, 811 W. Riverside Blvd., Rockford. Fans call also call Al Grace at 637-8676. Each lady who participates in speed dating will receive a rose from B. Sanfield.